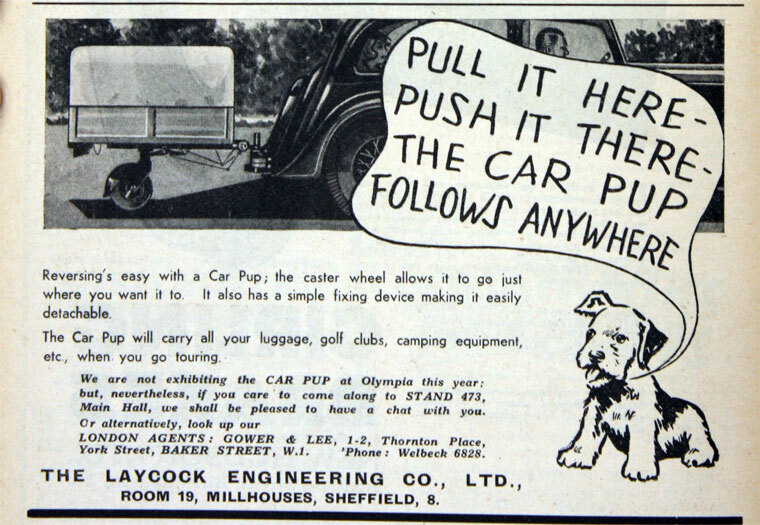 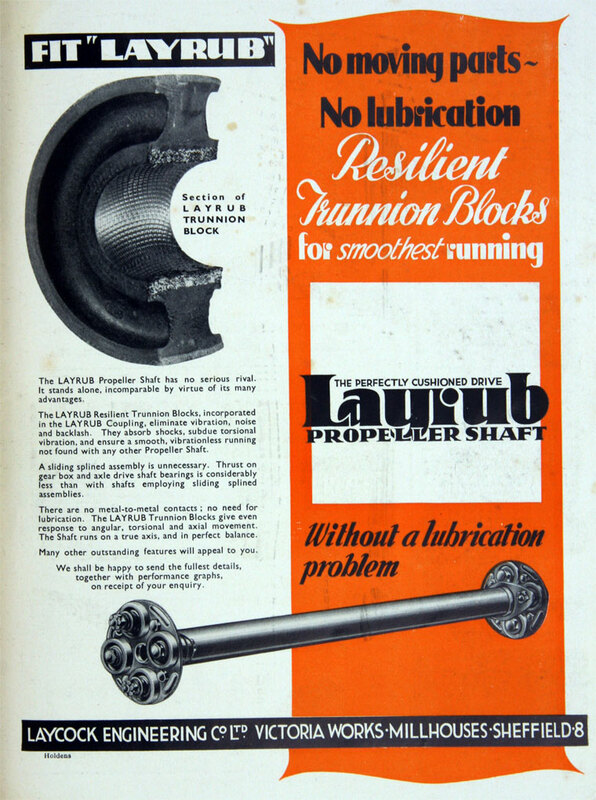 of Victoria Works, Archer Road, Millhouses, Sheffield, general engineers and manufacturer of components for the motor trade including Layrub universal joint. 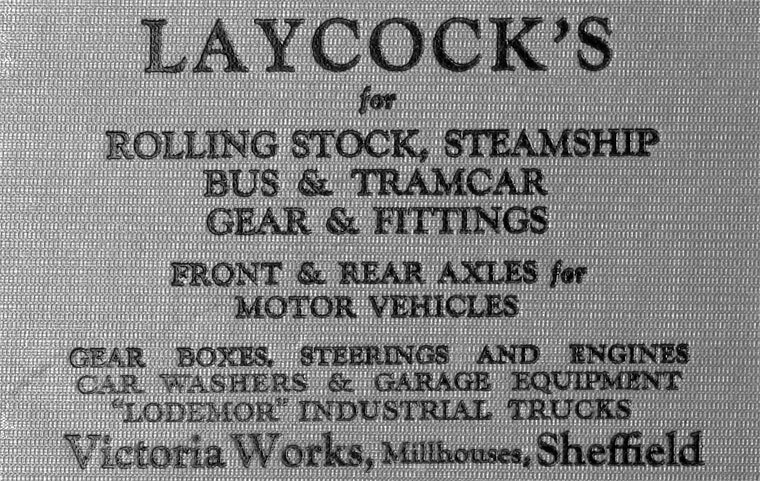 1913-15 Made a number of 35hp trucks. 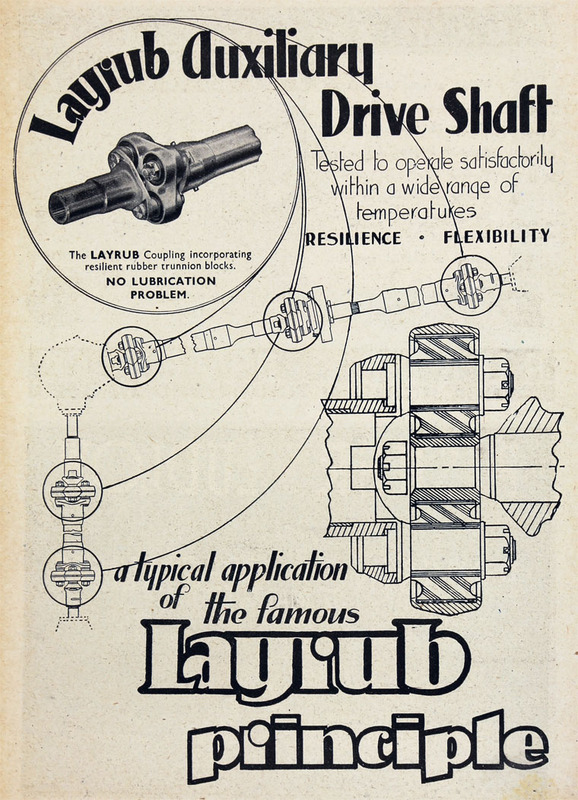 Developed garage equipment, and began supply of gearboxes, front and rear axles, etc. 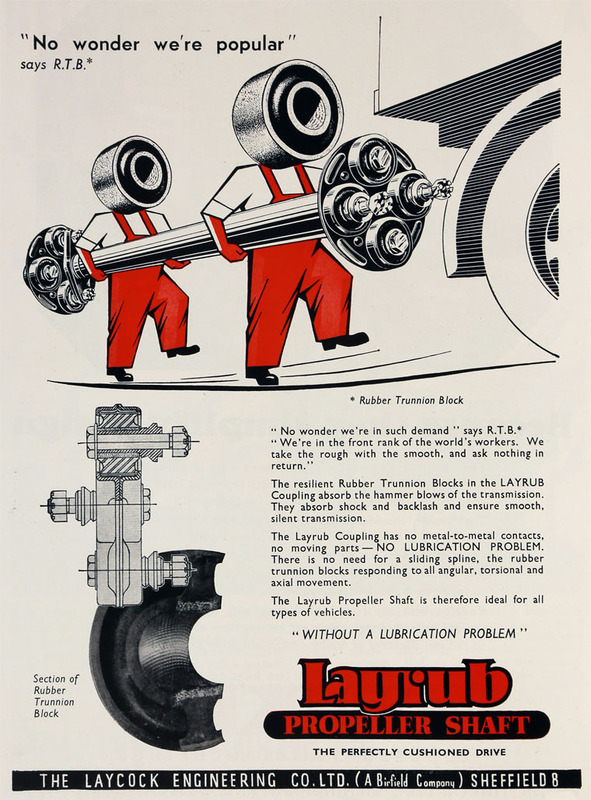 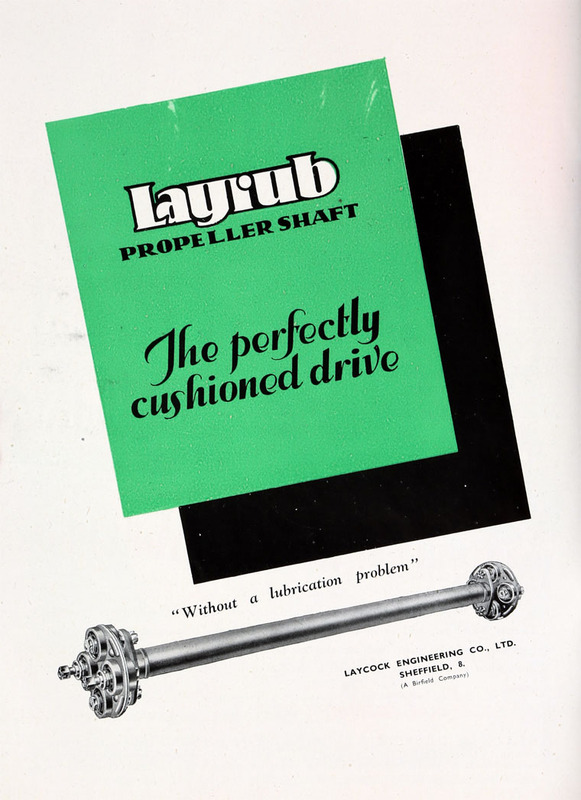 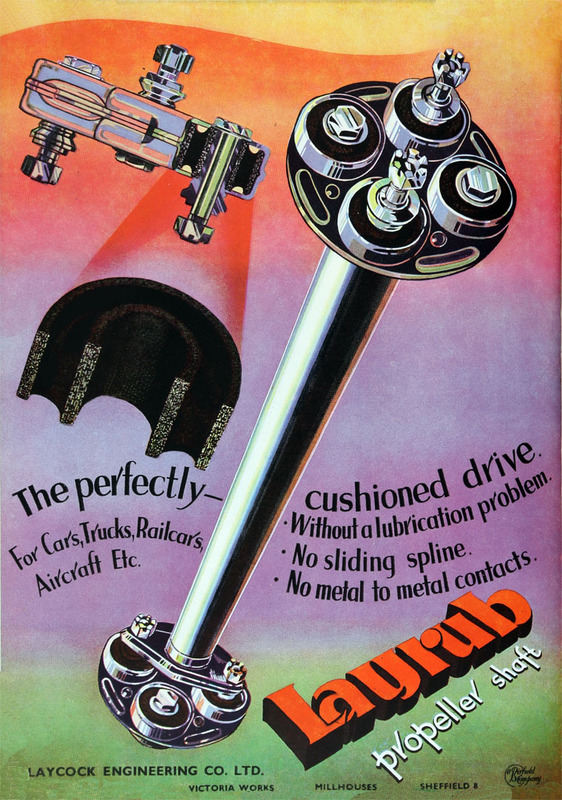 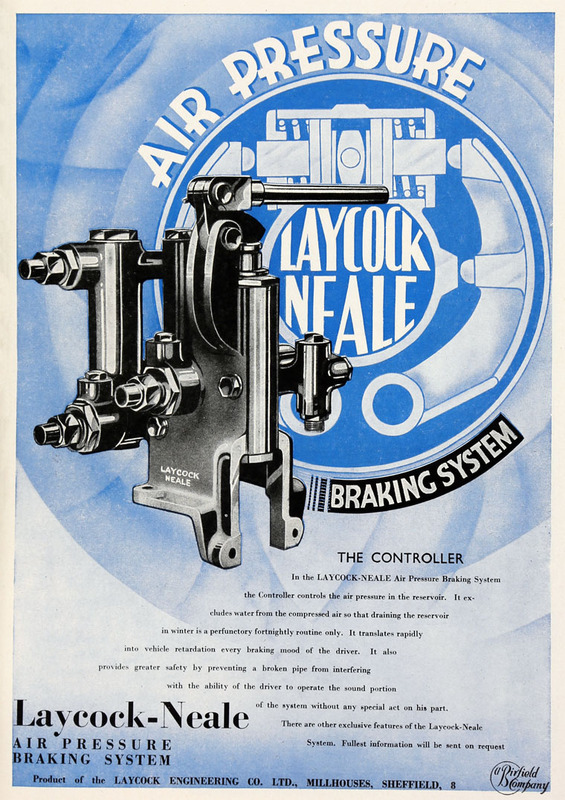 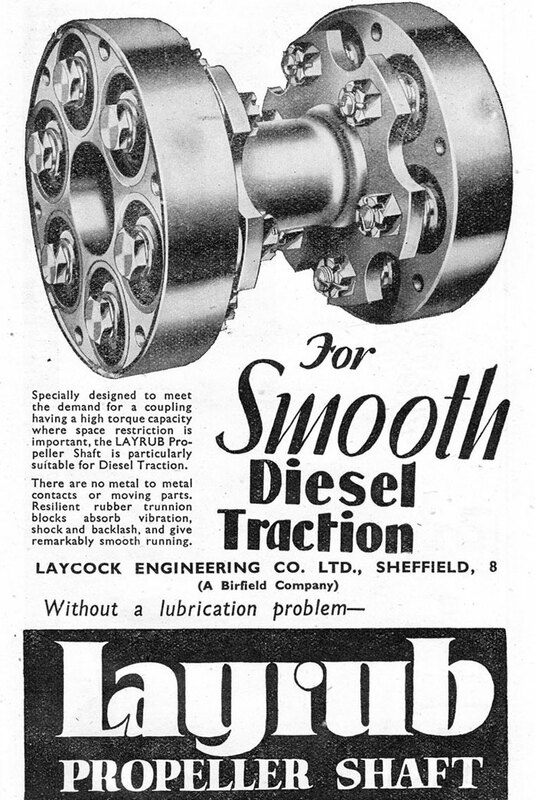 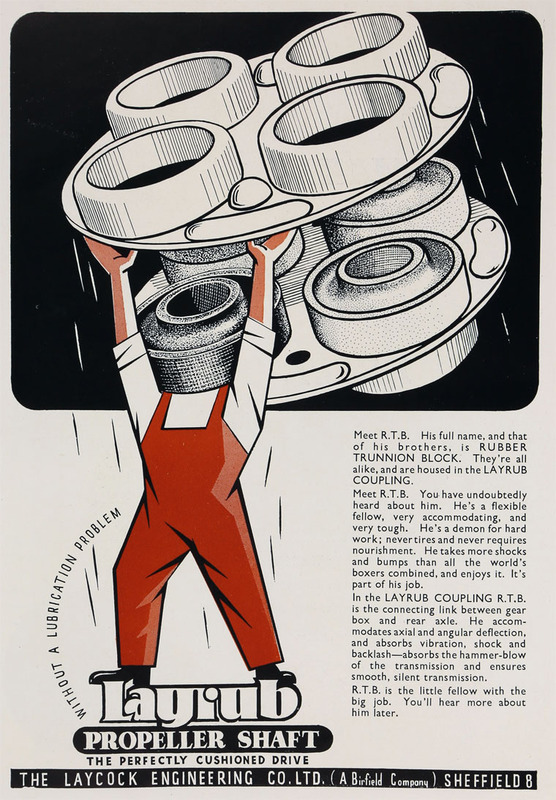 1934 Manufactured the Layrub universal coupling, originally developed for road vehicles, under licence from the American patentees. 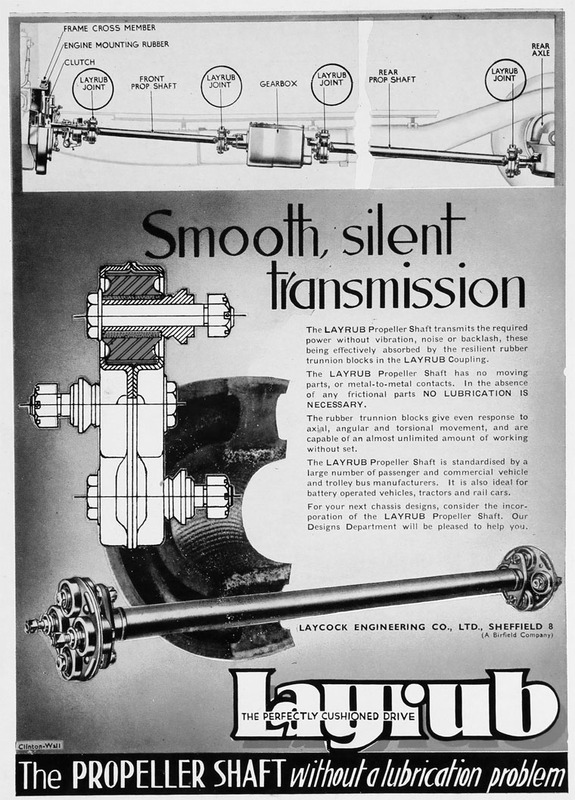 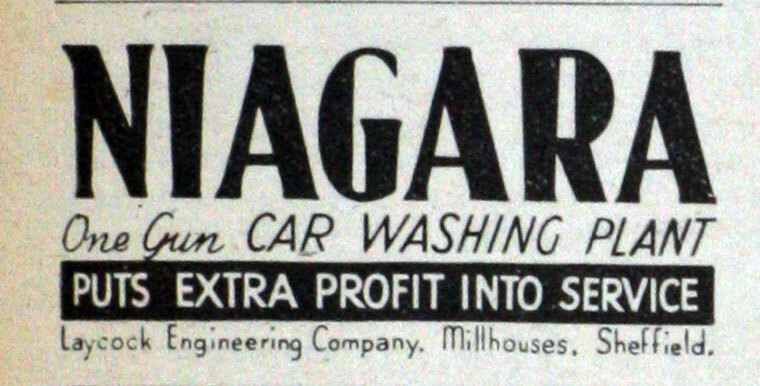 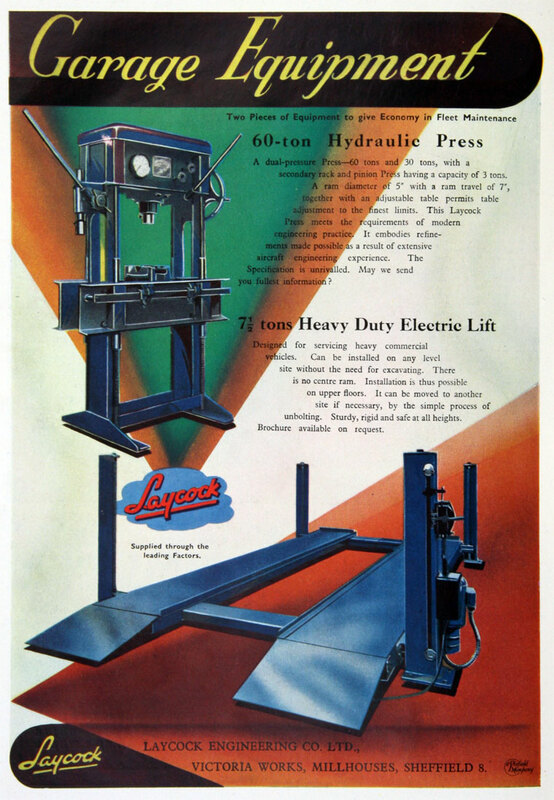 1938 Birfield Industries was formed for purpose of acquiring Hardy Spicer and Co and the undertaking and assets of Laycock Engineering Company . 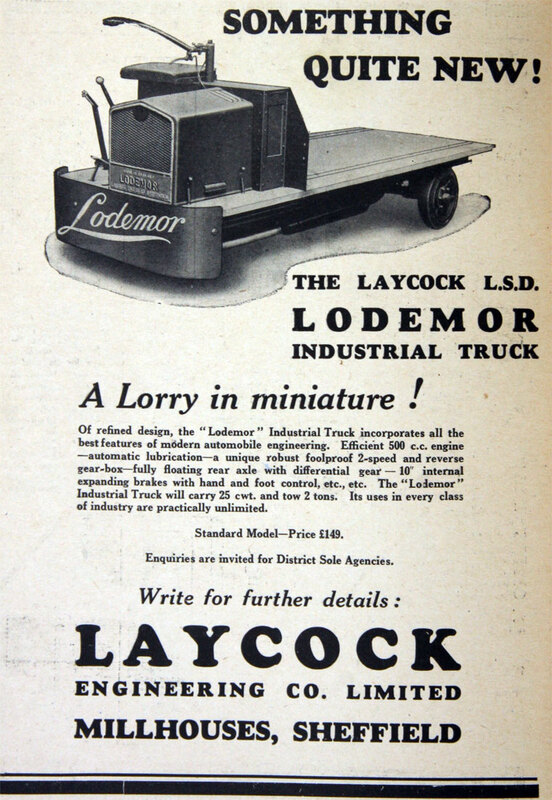 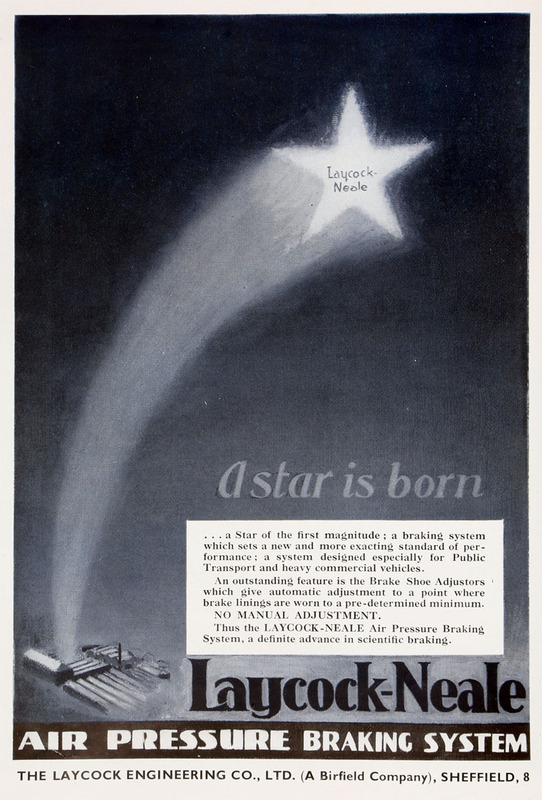 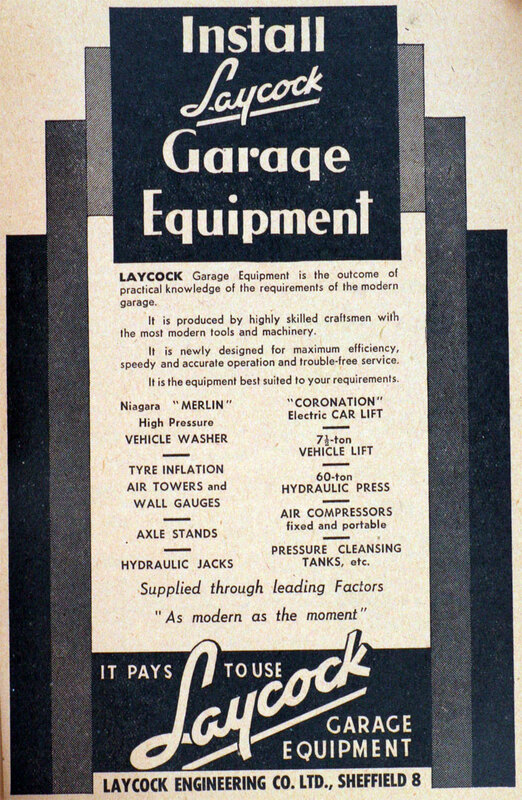 1939 Laycock continued as a holding company to hold the shares allocated under the merger. 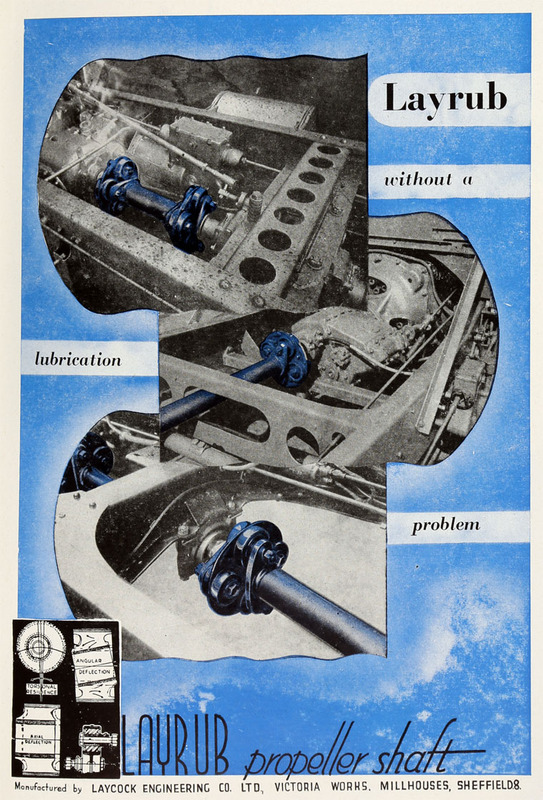 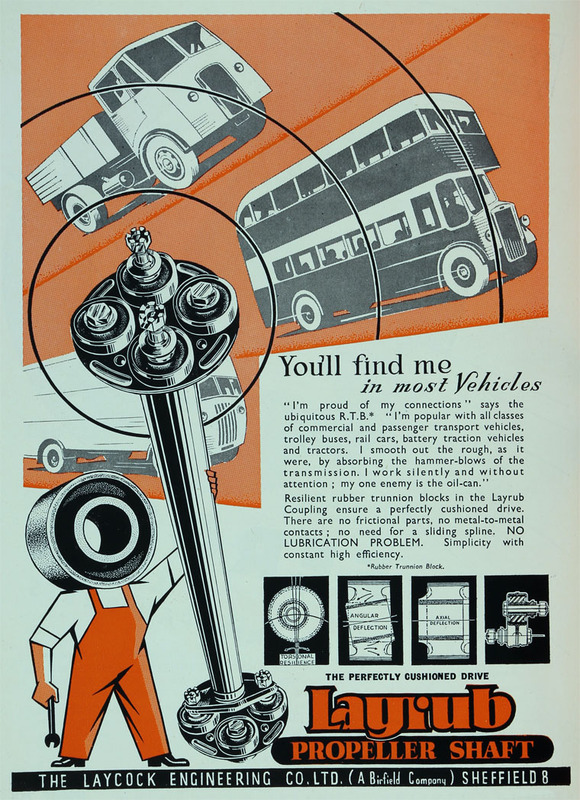 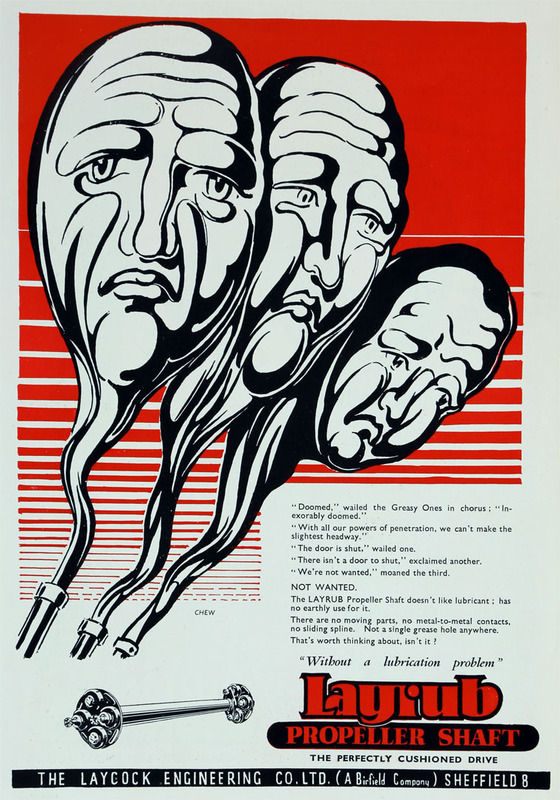 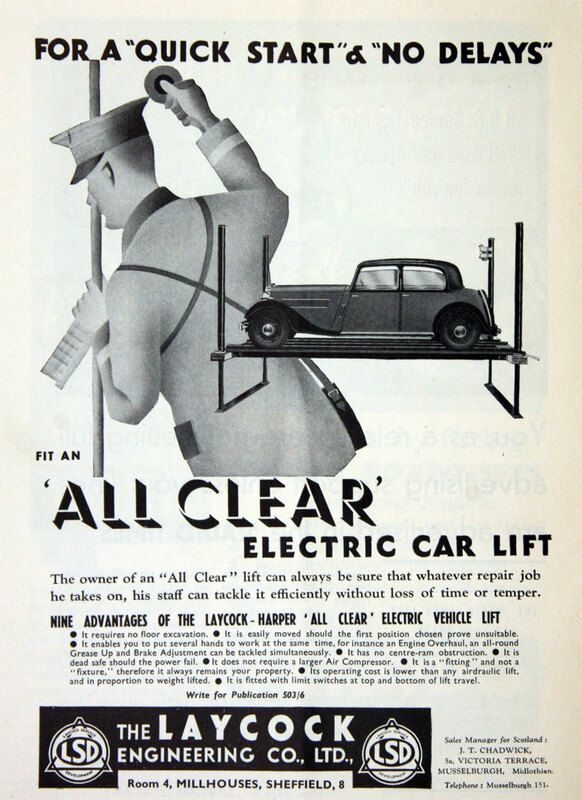 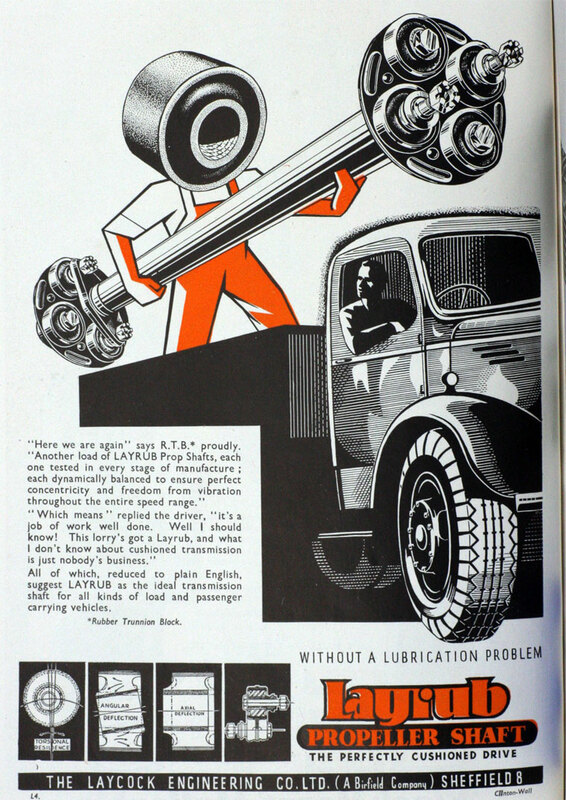 1944 Advert for a Propeller Shaft for diesel traction. 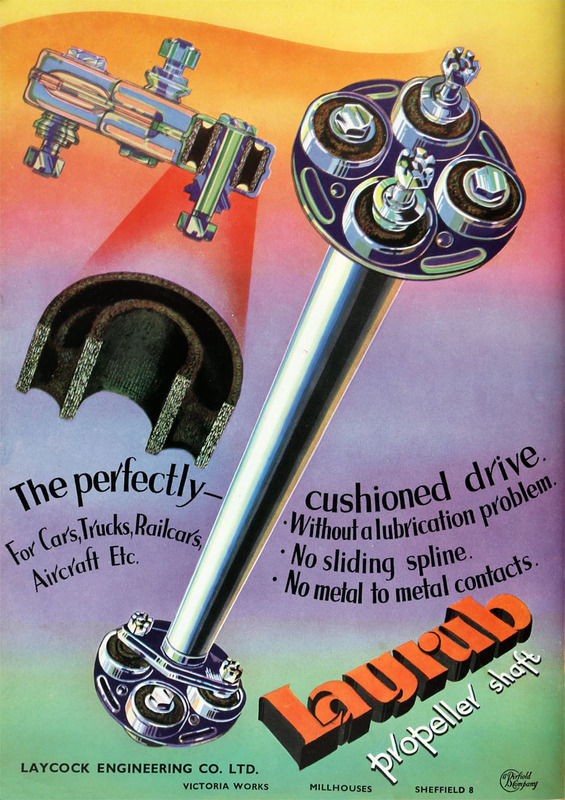 'A Birfield Company'. 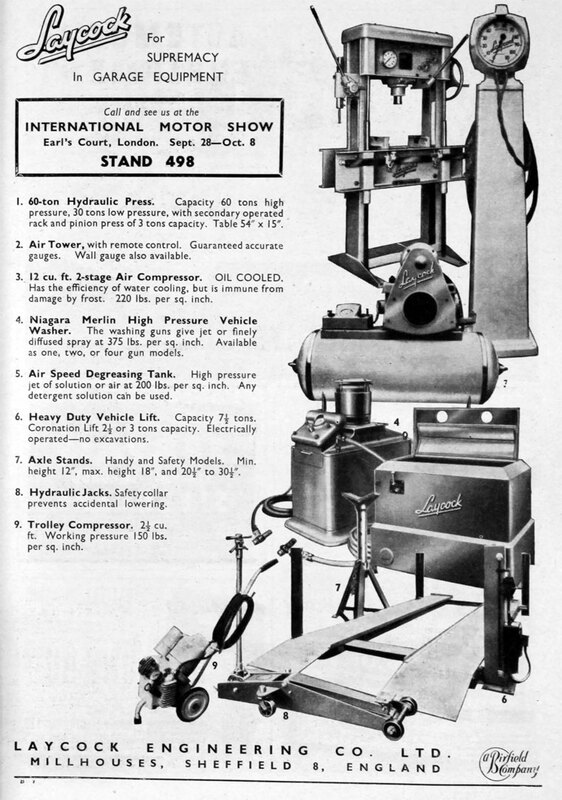 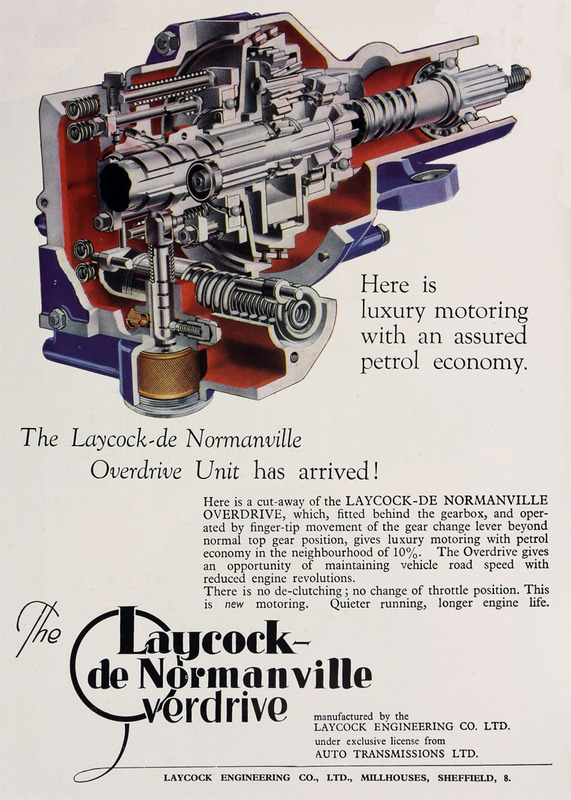 1948 Developed an overdrive unit for the Standard Motor Co - designed by Auto Transmissions. 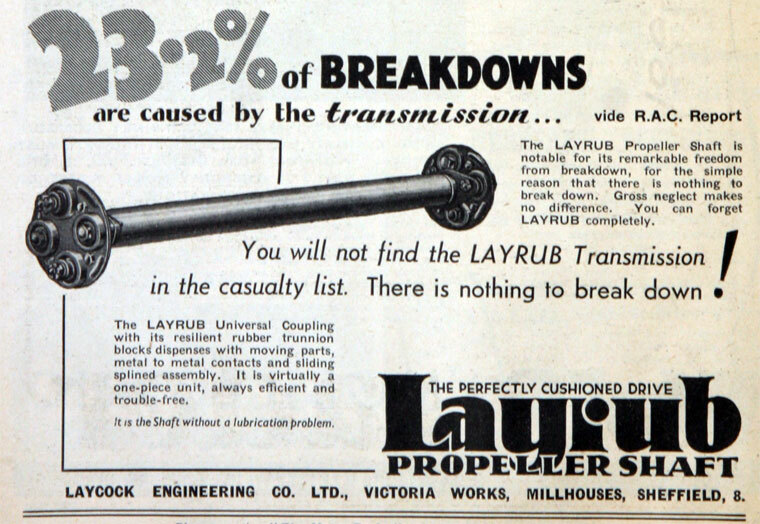 This page was last edited on 9 December 2018, at 08:37.